From US 23 north of Ann Arbor, take exit 49, N. Territorial, west 8 miles to park, course behind activity center, black and yellow tees. 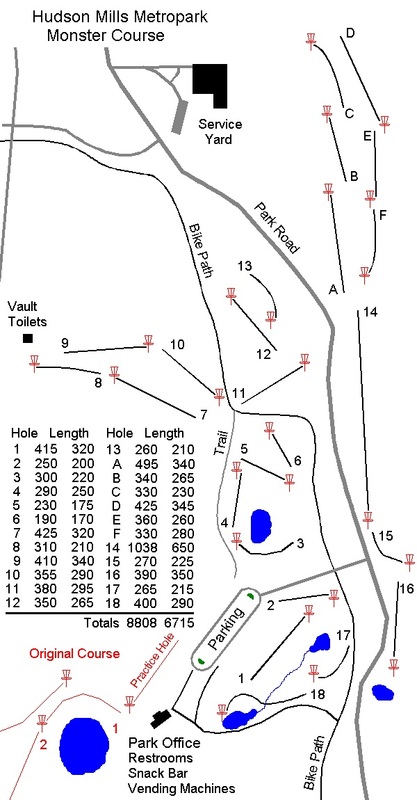 Monster is an amazing course huge 1000 +ft hole on hole 14 the extras are a bit ridiculous on monster as they are not well balanced but that's my only complaint. The course is my favorite of the 2 courses hands down but the extras on the original are more fun than those on the monster.